On my desk I keep a candy dish filled with my nuggets. Chocolate seems to be a lot of people’s fuel for a productive day! My dish of nuggets has inspired a few blog posts and has been incorporated into other writings. It’s been cried into and indulged in to staggering amounts. It is one of my most trusted friends and companions! 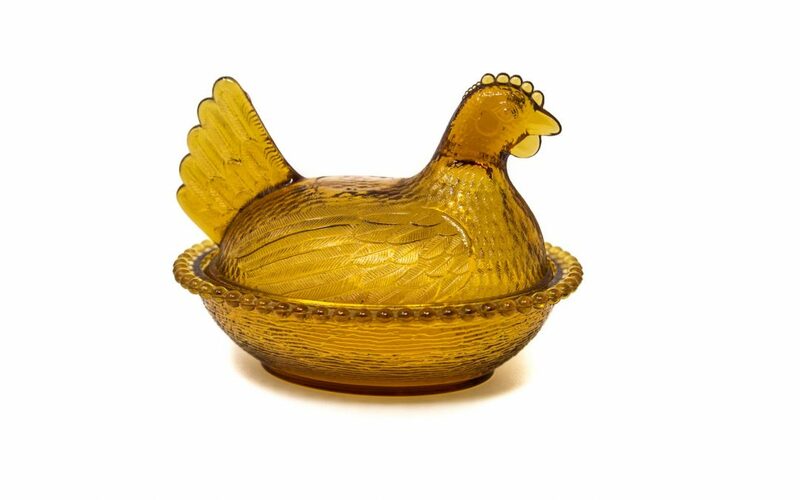 In honor of my dear friend, the candy dish, I’ve placed our vintage hen candy dish on sale. She’s looking for her forever home and longing to be called “a trusted friend.” She’s regularly priced at $19.99, now on sale for $17.99! She’s the perfect size for holding all those jelly beans or nuggets of chocolate.